Nobody can sob like my Little C&G. 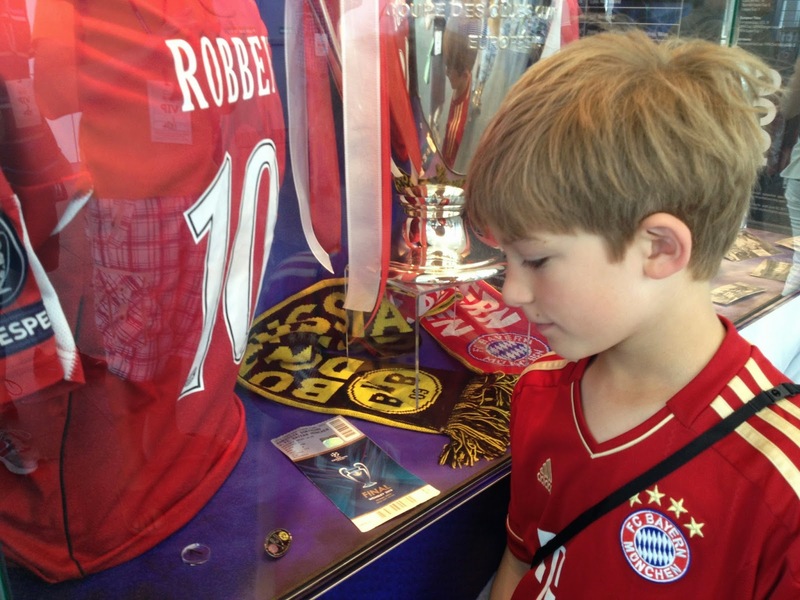 So when his beloved Bayern Munich was scored on in the 16th minute in their big game last week, his face crumpled and his hopes for a return visit to the Champions League final were dashed. Even worse was when I had to pause it at the 35th minute so we could run out to an evening class. Ronaldo had just scored to make it 0-3 and the Portuguese superstar had to rub it in with a little victory dance on the sidelines. It was a rough car ride with my Little C&G in tears and me trying to stay optimistic and convince him that Bayern could easily score 5 goals in the 55 minutes they had left. My pep talk didn't work (for either of them) and as I dropped him off I knew there was only one thing that would cheer him up. I needed to pick up some Paciarino pesto, STAT. Paciarino in Portland is one of Little C&Gs favorite restaurants and his first choice whenever he gets to pick a night out. We've been going there ever since they opened in 2008, when Enrico and Fabiana swapped Milan for Maine. That must have been one interesting conversation but we're certainly happy to have them here! Over the years we've noticed the prices have steadily increased, it's perfectly understandable and I certainly can't blame them. Rent on that sunny corner of Fore Street can't come cheap. But is has turned Paciarino from our favorite casual Italian, cozy place on the corner to a more special occasion type of place. Lunchtime has become the better option for us when the boys beg to go there, prices are about half what they are for dinner and the portions are still just as generous. But on my emergency pesto mission last week I knew Little C&G couldn't wait to see the end of the game and I'd have to get dinner to go. Paciarino sells its delicious sauces and fresh homemade pastas to go from the refrigerated case in the kitchen. For less than $20 I had enough pasta and pesto to soothe his broken heart and treat the non-soccer crazy C&Gs to a delicious dinner. 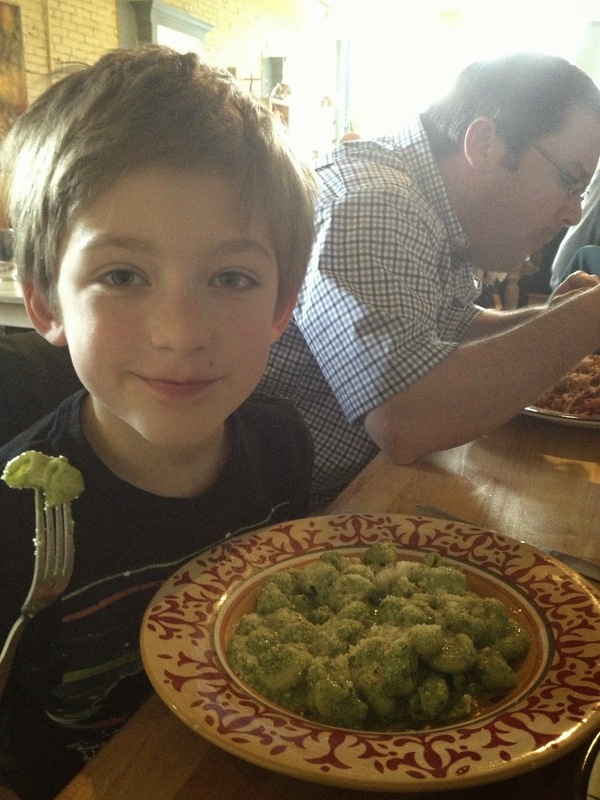 Plus there was plenty left over to send Little C&G with pasta and pesto for lunch the next day. We've got a super packed schedule of sports for the next few weeks and I'll definitely be returning to Paciarino for some sauces and pastas to go. I'll look like a rock star soccer mom with very little effort and it will be a nice change from the usual pizza and taco rotation. And pesto goes so well with an after practice/game Aperol spritz.